Decipher - THE LUCK CODE (DECIPHER ETERNITY): Truth about Retro-grade Planets! Finally you can accept this truth which is not given in any of the classical texts, and which is not copied from anywhere nor has it ever been taught by anyone yet. It is 100% an original work and concluded by me after my continuous, observations, thought provoking ideas and repeated experimentation. People give such a WIDE RANGE of theories and assertions about retrograde planets which they come at from God knows where without ANY SINGLE Logical or even philosophical reasoning or explanation. They just blatantly give such befooling assertions which if given a thought are quite obvious to be true partially in every case. A brief Explanation: How can such a lame statement be true. A planet is exalted or debilitated based on how it’s characteristics blend with the characteristics of that particular SIGN. Like a Goal Oriented Action taking MARS that follows the Orders of a King with Honesty and Vigour feels Good in Fiery and Impulsive Aries, Feels Good in Transforming, Reacting(Permanently) and Action taking Scorpio and feels Exalted in the Orderly and Rule-abiding Sign of Capricorn. Now How can a retro Mars behave like a debilitated Mars in Capricorn,, Either Mars has changed or the sign of Capricorn has turned its nature into a cancerian one,,lol. The truth is NOTHING of this sort has happened. What has actually changed is what you will soon know. The Assertion is so lame and against any Scientific Attitude that I need no explanation to prove it is ABSOLUTELY WRONG. Anycase, See your own chart if you have a retro planet, What are you doing or facing in life the effects of the house the planet is retro in or the effects of the house it is giving 7th aspect at. Confused… You can never say anything,, this such a clever statement to befool everyone, but from all the charts now I have seen the Effect is of the house it is sitting in and not 7th. I will share 5 charts as example charts in the End so wait for it. A retrograde planet behaves like it’s vedanta or opposite planet and hence gives bad results in it’s own sign and Good results in an Enemy sign. OMG, lol – All these things make me feel so annoyed. Anyhow, let move on..
See I can understand WHY people came to these assertions or MYTHS or Misconceptions in their analysis. These results were obtained bcz they didn’t look deep enough or they didn’t looked at all and just crammed what being taught. I understand how these results or myths can be derived by a careless approach of an astrologer and I will explain the ultimate truth to you soon in this Article. How can Jupiter (R) behave like Venus and Venus (R) behave like Jupiter or Saturn ® behave like Mars and Mars (R) behave like Saturn? This is what this Myth or Assertion says over the internet. My Jupiter MD is going on which is Retrograde in my chart in the 3rd house in Aries Sign and in 2nd house in cusp chart in Pisces (Sign is irrelevant in cusp charts as per some) anyhow. I never felt like I am going through the MD of VENUS in Aries or Venus in 2nd house or Venus in Pisces. But you know what there are some results that you will get in this case that will resemble Venusian traits and that is what led to this MISCONCEPTION among many. A retrograde planet is going to make you suffer and fail in it’s dashas. #Myth No 6: It gives the Results of the Previous House. Again a Lame statement bcz in mony of the charts it will automatically move to the previous house in the cusp chart and hence give some results of that house. Hence it is not bcz it is RETROGRADE, it would have happened even in a Prograde scenario too. And No planet can give results of a house it is neither sitting in nor aspecting nor owning etc. Okay,, So there were a few Myths circulating over the Internet. Now, let us come to what my observations and Experiments say. I wish to express here what I deduced since now. I will start here with a small explanation and create a little background for you using ASTRONOMY of retrograde planets and also HOW ASTROLOGY was invented and RULES OF ASTROLOGY CREATED using OPTICALLY VISIBLE PHENOMENA FROM EARTH frame of reference. ALL RULES and hence ROOTS of Astrology are based how things appear from earth and how they influence our Planet Earth and it’s Beings. Many orthodox people are NEVER open to new ideas or finding out a truth because as I said they are ORTHODOX AND EGOISTIC. Anyhow let’s begin. A Retrograde planet appears to move retrograde as seen from earth but heliocentrically and in reality it is still moving forward and is still the same planet in the Same sign. It’s like it is internally still the same guy but externally appears to be going in the opposite direction. 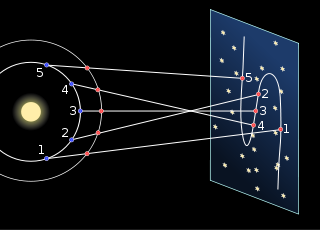 In Addition Whenever a Planet is retrograde it is it’s closer to earth in mutual orbits. I mean when a Planet goes retrograde during that part of it’s orbit it is much closer to earth and it’s orbit then during the regular Prograde motion and hence it is OPTICALLY very near and hence has a HIGHER INFLUENCE on our PSYCHE and MIND. As I said planets are assigned roles deep down based on how close they are OPTICALLY SEEING FROM EARTH and THAT will determine how much that planet influences our Psychology. Why do you think are the SUN and the MOON represent the biggest Areas of our Psychology as per astrology i.e the mann(chitt/mind) and the soul/character. And hence a Retrograde planet being nearer than usual and appearing closer and bigger as seen with the naked eye also has a Higher influence on us compared to a normal Prograde version of that planet on us. Hence we cannot avoid predicting using them bcz retrograde planets are highly influential and their results and effects can overpower all other results in a chart. Important NOTE: Whatever the retrograde planet is in your chart you are TOO INVOLVED in that area of your life always or in the houses it owns. 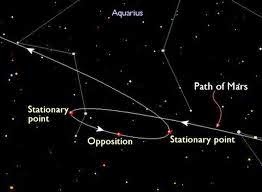 Okay that said, now you know how they being nearer to earth in retrograde path affect our psyche a lot more than usual. We pay attention to its attributes a lot more then usual. #Assertion 2: Every Planet has internal specifications and External specifications. Internal are those that are at the level of Thought , Ideas, Emotions, that are Abstract, include inner Peace, Inner Feeling of Accomplishment etc and things or ideas that cannot be touched. External are those that are tangible, of the Practical world, externally visible results of something and Practical success. Now A retrograde planet owing to it being visible as or appearing to be going retrograde or lagging behind in speed but still in reality being the Same planet moving in the Same direction with the same usual speed will do what? You will see that the internal inner specifications of that planet are the same or actually ENHANCED in us (why? Because it is now very near to earth in it’s orbit). A retrograde Mars (Internal specifications of MARSlike Goal Oriented thoughts, Anger, Passion ENHANCED) but external Specifications show REPEATED Attempts to attain but failures, Retrying, falling back and trying again from ZERO. You rise to a level, fall back and start over again hence IN Mars, Efforts to accomplish external wordly Goals will not get Manifested. I said Efforts are not manifested , I did not say Goals are not manifested. One cannot make that Effort as one should. A Very wise, mature, knowledgeable and Understanding person. Well behaved, Magnanimity in thought and ideas. Externally, Difficulty creating Or finishing Projects, or Gaining Wealth and money or Gold, May even cause difficulty getting children or making franchisees. All internal specifications of Jupiter are enhanced bcz of proximity and sameness of Jupiter and external are delayed and demand repeated attempts due to optically visible retrogradation. Externally: No discipline in life, Very difficult to follow schedule and time, No order and structure in surroundings, No external manifestation of this inner sense how how things should be. Externally: No successful external or tangible relationships after repeated attempts. A previous relationship can come back. Assertion 3: The External Manifestations of a planet and also the houses it rules are difficult to achieve. It causes delays, repeated attempts, transformation and retries in a better way every time. You rise a certain level fall back, RECONSIDER what went wrong and then you retry in a better way and after multiple tries you give it your best shot. So see what the planet is and what houses it rules and this is what will happen. As a retrograde planet is nearer and also highly influential and also causes us to redo, repeat things, And does this to an EXCESS (owing to proximity to earth and having a higher influence on our psyche), what happens is that WHICHEVER HOUSE IT SITS IN, IT GIVES US EXCESS OF THE SPECIFICATIONS OF THAT HOUSE AGAIN AND AGAIN. Now in this aspect the planet and Sign are not that significant although they will slightly change the DIRECTION and METHODOLOGY of results obtained but the Basic rule of the thumb is you repeatedly face and live the specifications of that house again and again. In 1st house: You transform and refine yourself and change over course of time and make yourself a better and better person as years pass. You will be self centered and a Man of Impressive PERSONNA. 3rd house: You will Be into IT, marketing, Writing, Communication, Expressiveness, Blogs, Videos, etc. Very effortful Person. 4rth house: A lot of fixed assets. 5th house: Many children, Studying for long, One course after another then another,,, and so on.. Very good in creating things, Projects etc, Very Good in Media and Arts too. 6th house: Conflicts and law suits and competition, Person may also be too involved in jobs dealing with emotionaly, physically or mentaly damaged people like Serving the Poor, Running NGOs or Old age homes or may even be a Doctor or health care provider. 7th house: Public figure, Public relations, Multiple Relationships can be signified. Always in a relationship one after another, May give fame among Masses. 8th house: A deep interest in occult sciences, always into undercover , transforming and occult sciences and experiences, a surgeon, under the cover transformations are many in life. 9th house: Always into reading philosophy, or religion, getting higher education, Obsessed as well as gains a lot about and in these things. 10th house: Obviously dedicated to jobs and may change repeatedly. 11th house: Gains a lot of Wealth and income, all wishes are fulfilled and accomplished. 12th house: Meditation , Bed pleasures, Foreign travel, Salvation, Many are the significations of this house as I said but whatever the signification, it will be in excess and native will repeatedly experience it. Only the Method changes with sign and planet involved. 1) You gain and accomplish a lot in terms of the "INTERNAL SPECIFICATIONS" of a retrograde planet and the 'internal specifications of the HOUSES that the retrograde planet owns' in your chart. Internal Specifications include abstract and Intangible things at the level of thought process and feelings. e.g Jupiter retrograde will impart greater wisdom while Saturn will impart 'a sense of' fair play & justice. 2) In terms of "EXTERNAL SPECIFICATIONS" of the Planet concerned and the houses it owns You face repeated set-backs,have to make repeated attempts , there are repeated failures, falling back and then rising up, re-tries, falling back after reaching a certain level to level zero again only to retry and try and try again in a better and refined way every time so finally you get up and give your best shot and WIN in the end or achieve your goal with regards to the "EXTERNAL(or Practical) SPECIFICATION" Of that planet and the houses it rules. e.g is if 7th lord is retrograde then relationships or business pacts are difficult to establish for long until some other Supporting planet's dasha runs. 4) In order to experience these effects you must face their MD or AD or PD. Results in your life are Predominantly a combination of MD>AD>PD> transits but short term observations of day to day life are transits>PD>AD>MD and hence be careful while interpreting results. 6) This point is still under research and needs more testing but i believe this is a possibility. So i will need your feedback to let me know if this final point is true or false. I wish to elaborate Point number 1 via this point. Once again i want to re-enforce that the 'EXTERNAL MANIFESTATIONS' of the retrograde planet and the houses it owns are difficult to achieve. One has to make repeated attempts to acquire or attain the external manifestations and failures and retries and Re-CONSIDERATION and Deeper analysis again and again occurs for the purpose of Reformation and Refinement of our psyche to create a new cycle or awareness in us. Anyhow what i wish to say IN ADDITION to this is that on a MUNDANE/PRACTICAL/EXTERNAL plane one may do deeds exactly opposite of what Is the DHARMA or DUTY of that planet concerned in that particular Sign as and as a House Owner. While on a inner/psychic plane it has an enhanced and heightened sense of the Dharma of that planet. So friends this was my own analysis and research work over retrograde planets after seeing 100s of charts including those who consulted me, my friends and also many celebrities. In the next post I will try to prove my point via examples of REAL CASES or CELEBRITIES. So you get confident on this even more. You can send me your own views and comments. If you have proves that contradict my theory you are welcome to send me emails with birth data and results. I am always ready to refine and improvise my Knowledge as Science is the desire to seek and know the truth , I may be wrong but I welcome you to correct me or improvise me wherever needed with all due respect.